The staircase decals make me wish I had a staircase again. I really can picture that in our old house - it would have been perfect! In the meantime, I'll gladly settle on the book table. 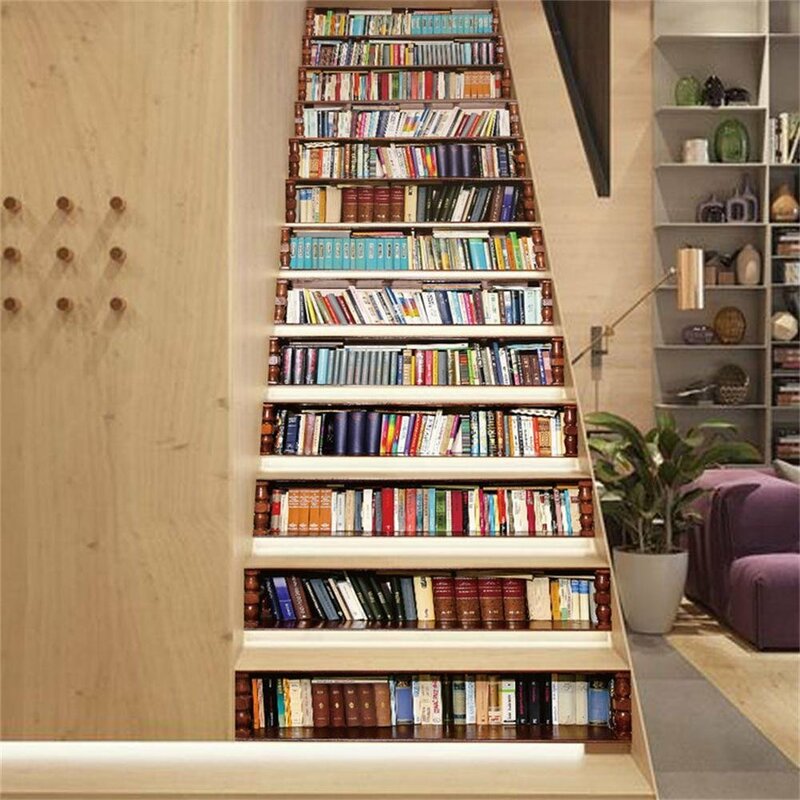 Gorgeous home decor for people who love books! Clever ways for book lovers to decorate, Barbara. I do mine with 'actual' books... LOL. I have two tall bookcases, one on either side of my bed, plus a total of 7 small bookcases scattered throughout all the rooms in my home. And, they are all filled with books! I DO love my books. That's fabulous. Love the idea of tall bookcases flanking each side of the bed. 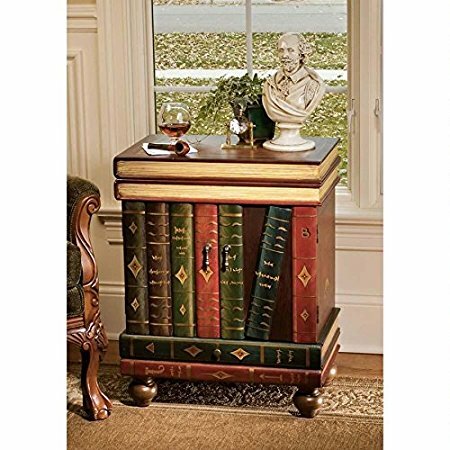 I have long admired the end tables that look like they are made out of books. Not only would I enjoy the storage ability, but I do love the look of leather bound books. I also like the stair decals, but I have carpet on our stairs. I couldn't help but think though how cool those decals would have been on the stairs to the basement in my husband's grandmother's home. Sure would have added some much needed color and interest to her work area. That side table is really cool! Very clever ideas! What will they think of next? Unfortunately, my stairs are carpeted and there are stacks of real books on the edges of many of the steps. I do think the table is lovely. I love books and I love that side table!